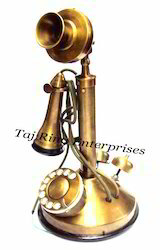 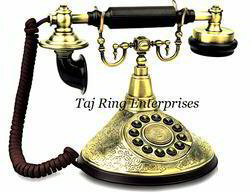 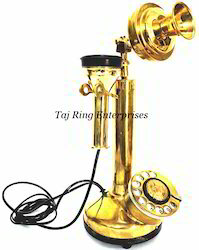 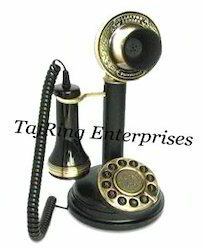 Prominent & Leading Manufacturer from Roorkee, we offer vintage maharaja antique telephone, antique brass telephone, nautical brass telephone, antique table top telephone, brass telephone and antique telephone. 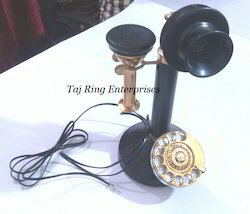 Total Ht:- 29cm., Wide:- 17cm. 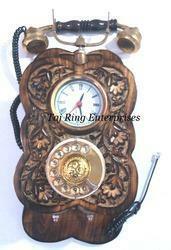 & Base:- 35cm. 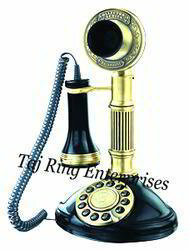 Awesome Style Old Style Antique Telephone Al work is hand made Its made of brass finish Marine Replica Stylish Desktop TelephoneBeautiful Gift Antique TelephoneSpruce up your interiors and infuse class to your spaces by indulging in this classic range of home decorative and antiques. 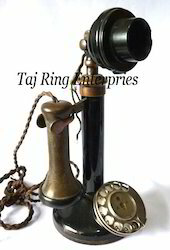 keeping a house that reflects design and aesthetics! 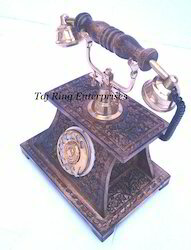 Awesome Style Old Style Antique Telephone Al work is hand made Its made of brass finish Marine Replica Stylish Desktop TelephoneBeautiful Gift Antique Telephone Spruce up your interiors and infuse class to your spaces by indulging in this classic range of home decorative and antiques. 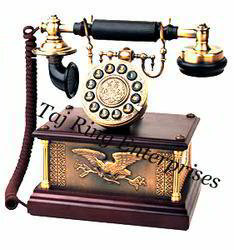 Finishing:- brown Antique Awesome Style Old Style Antique Telephone Al work is hand made Its made of brass finish Marine Replica Stylish Desktop TelephoneBeautiful Gift Antique TelephoneSpruce up your interiors and infuse class to your spaces by indulging in this classic range of home decorative and antiques. 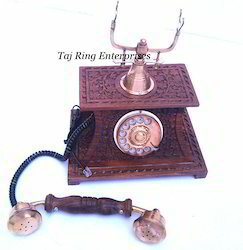 Total Ht:- 30cm., Base:- 13cm. 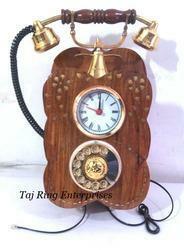 Total Ht:-37cm., Wide:-20cm., Front :- 18 cm., Clock Dia:- 9cm.